In the day an age of the Great Recession and people moving back in with mom and dad (even at 40!) what more of a perfect gift this holiday season than the Forearm Forklift. Are you tired of arguing with your spouse, your kids, the neighbor down the street that his helping you move for the hopes of a free beer? Is your spouse too short or lets face it–you are not strong enough– to move that 72” flat screen that you got on credit at Bills House of Layaway and Emporium? You need the Forearm Forklift! The Forearm Forklift makes a great gift for everyone on your list–whether they are forced to move in the middle of the night, getting kicked out of their house by the bank or mom and dad are tired of you living in their basement. 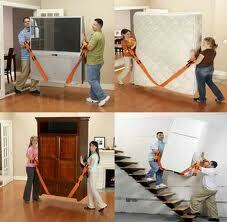 Order the Forearm Forklift today and you had better order one for yourself, you never know when you will need it. Is that thing for real? Maybe Barnum was right!